Along with the City of Boulder and Boulder County, the Boulder Valley School District has strict policies against discrimination, including protections for gay and lesbian employees and students. So, why is the BVSD violating its own policies by subsidizing the Boy Scouts? 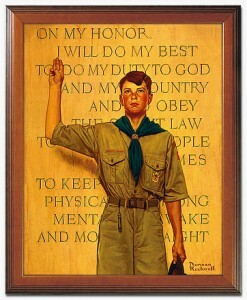 The Boy Scouts of America (BSA) is one of few youth organizations that practices discrimination against people on the basis of sexual orientation and religion. The organization prohibits membership by gay teens or adult leaders or by atheists or agnostics. The BSA has, of course, the right to establish its own internal policies. Bigotry may be stupid, and a horrible example for young people, but it’s not illegal.